Victor JVC seems to finally have realized how well the Flip sells over in North America. The company has now announced the Picsio GC-FM1 [JP], a mini camcorder recording video at 2.03MP and shooting pictures at 8MP. The Picsio offers 1080p output at a 4:3 ratio (1,440×1080, 30fps). Alternatively, you can go for a 720p, VGA or QVGA mode. Weighing just 95g, the device measures 53x97x17mm. 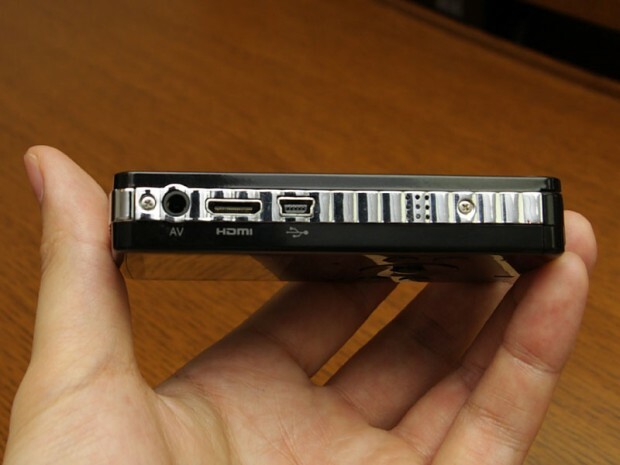 It features a 2-inch LCD screen, an HDMI interface, USB 2.0, and 4xdigital zoom. Users can record video on SD or SDHC cards in MPEG-4 AVC/H.264 and upload them easily to YouTube or iTunes through a special “media browser”. The GC-FM1 will go on sale in Japan within this week (street price: $220). There will be models in black, blue and purple. Victor JVC hasn’t said yet if the Picsio will ever be available outside Japan (which is highly likely).